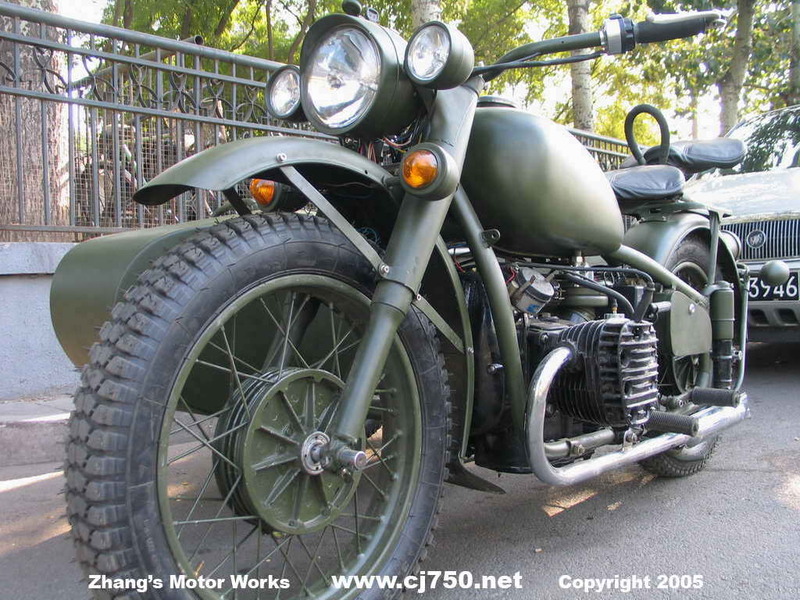 Big Bill's Bikes restored the following Chang Jiang 750 military style sidecar with the following: powder coated rims and hub for long lasting color, high temperature powder coating for engine, high performance carburetors, 3 ring piston, frame tool box, jerry can, and most importantly the M5 hub which has symetrical spokes which offers more strength and a wider hub allows for a wider brake pad, thus better stopping power. 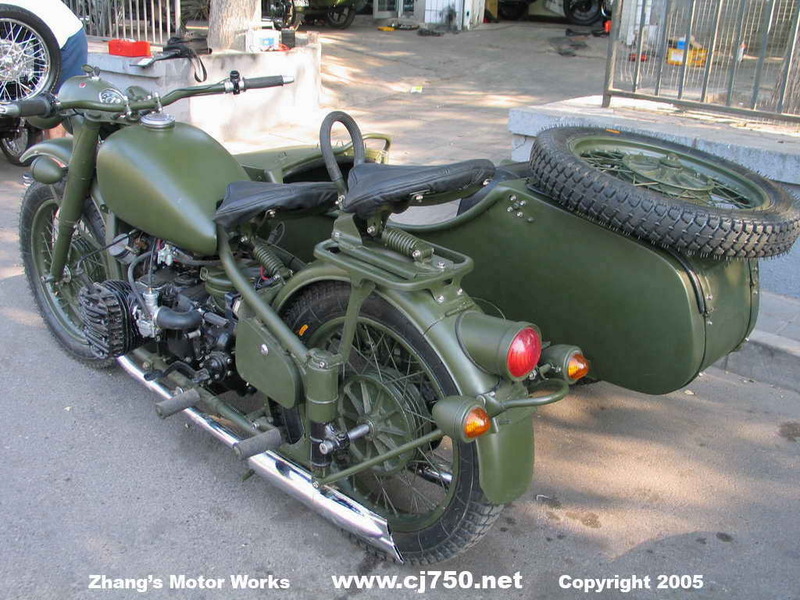 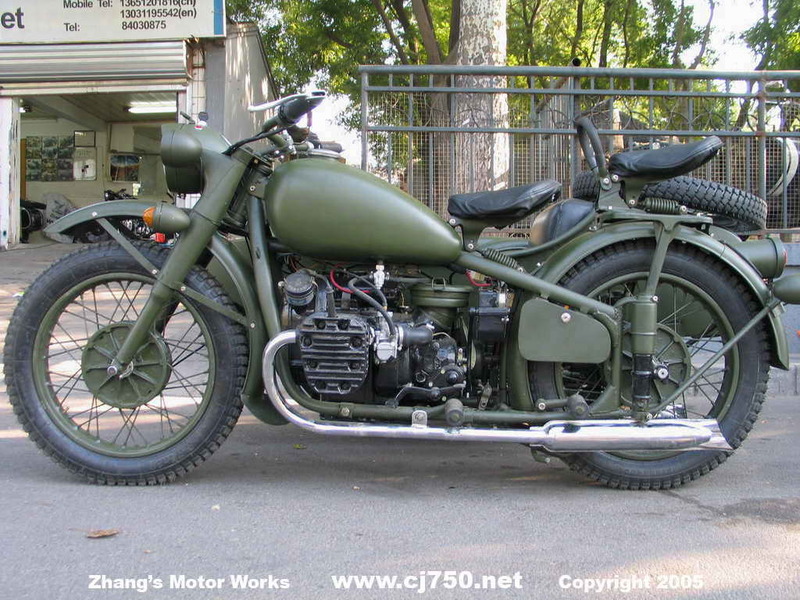 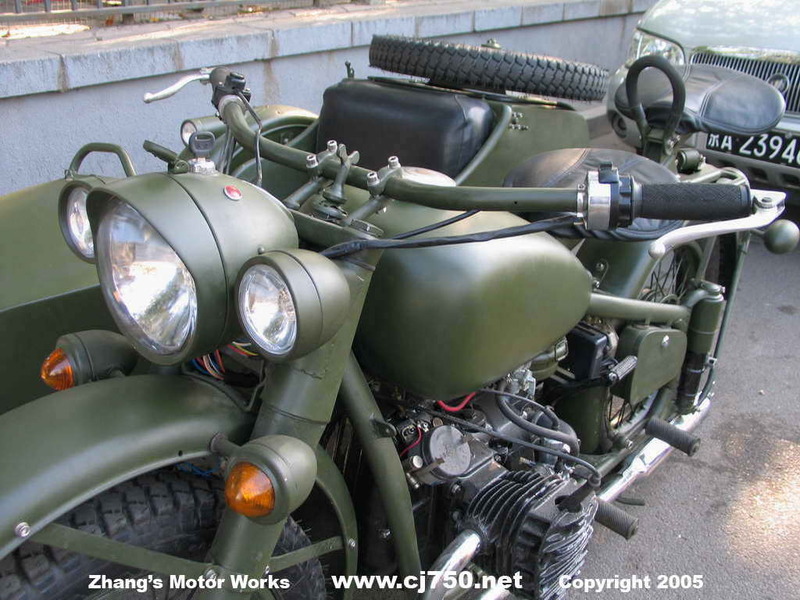 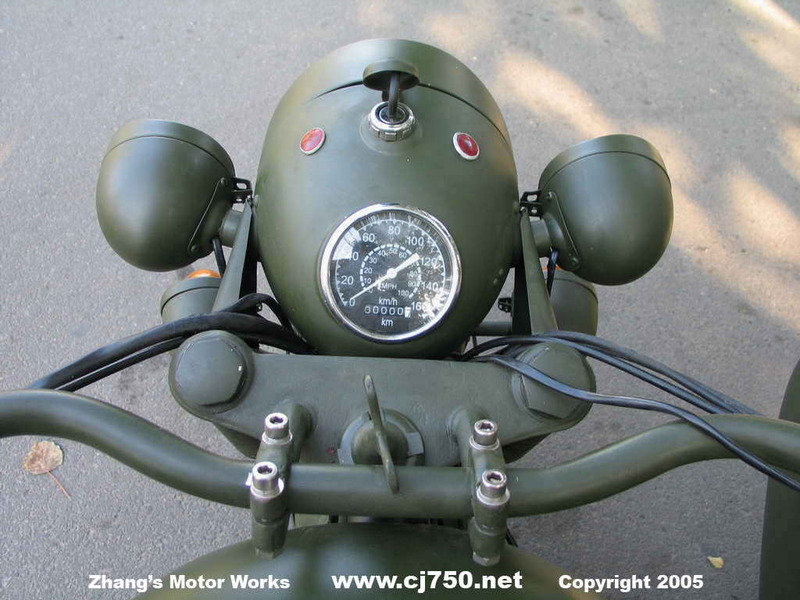 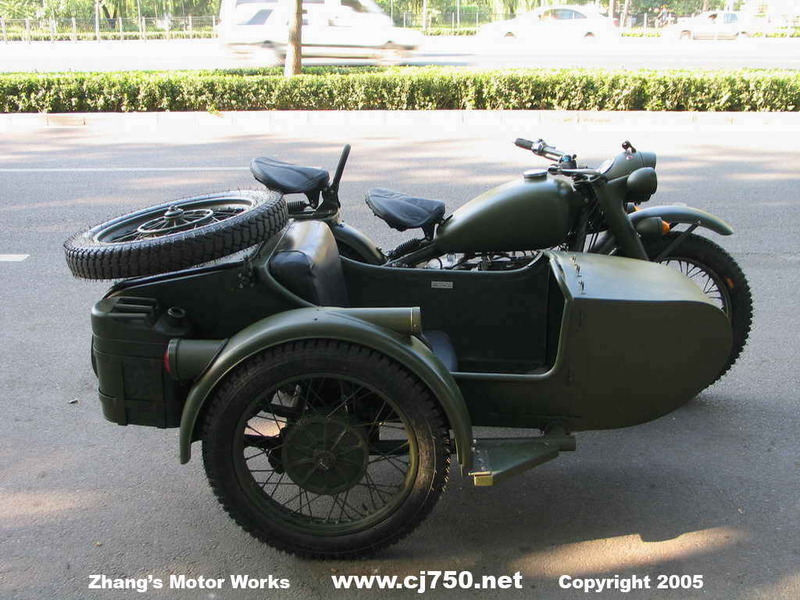 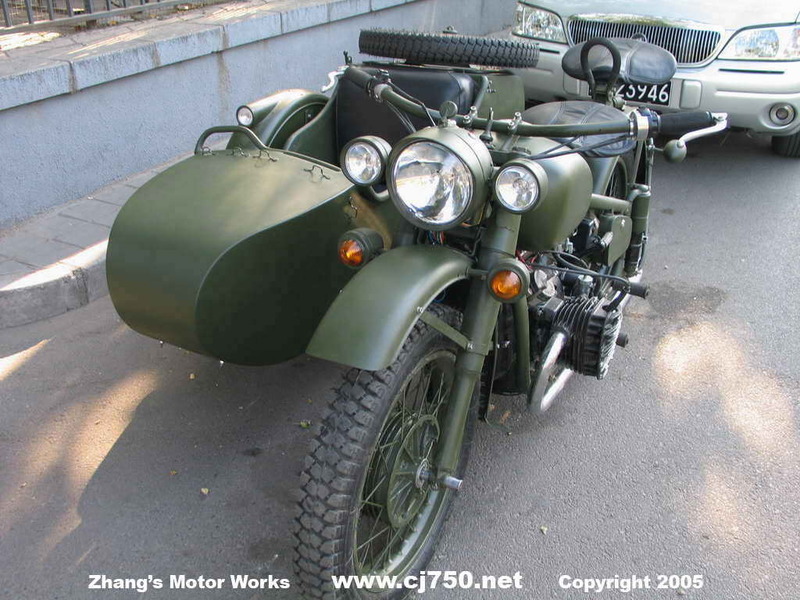 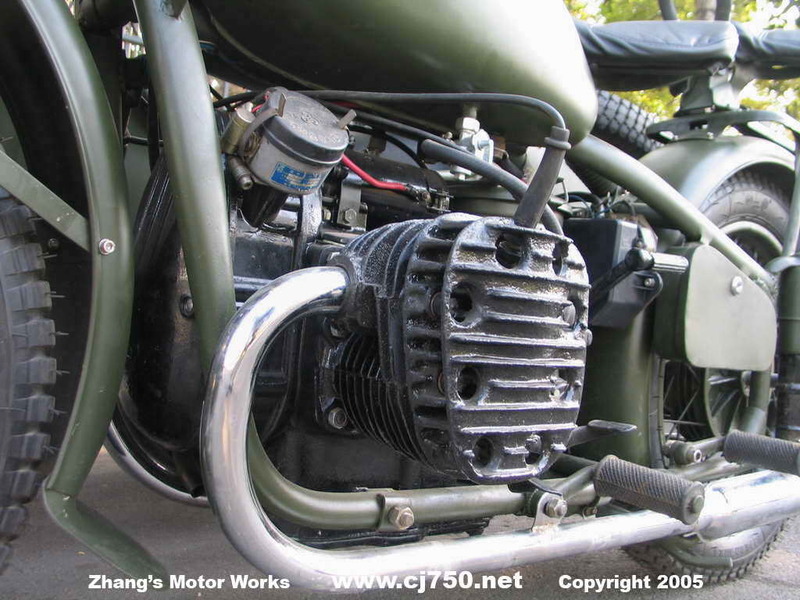 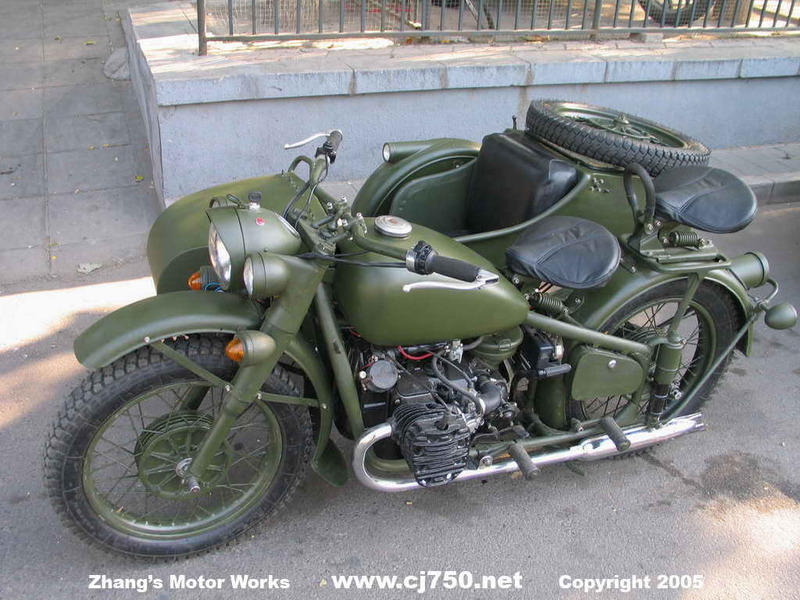 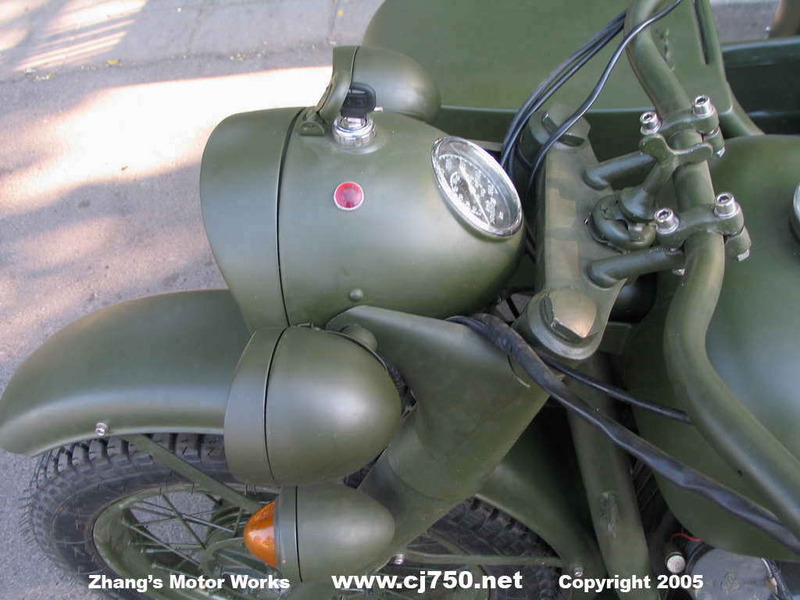 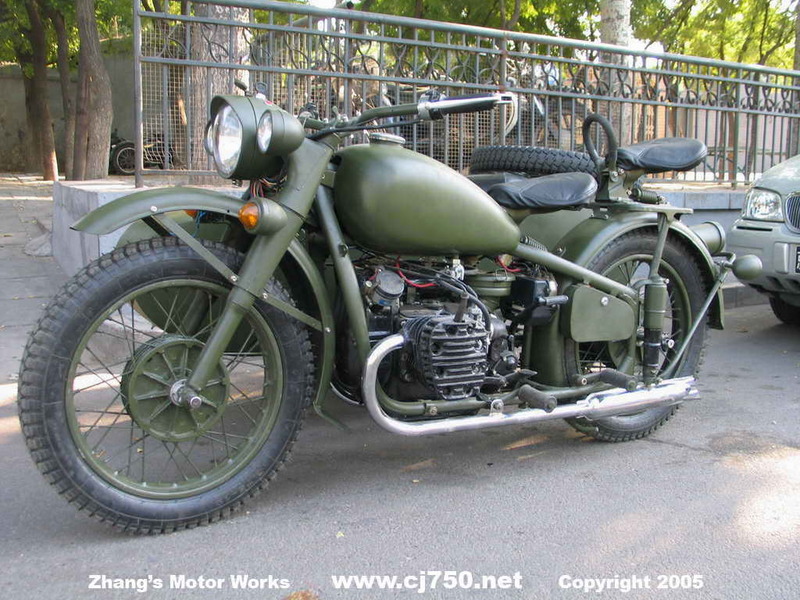 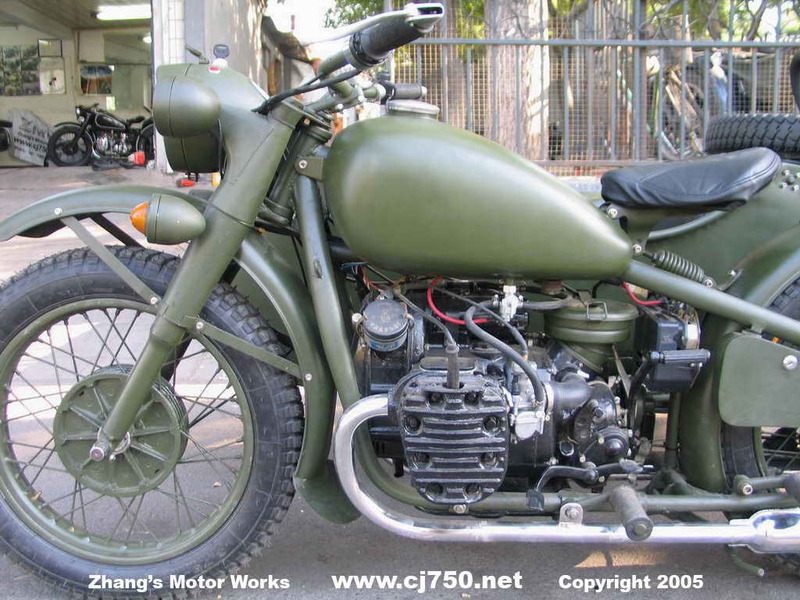 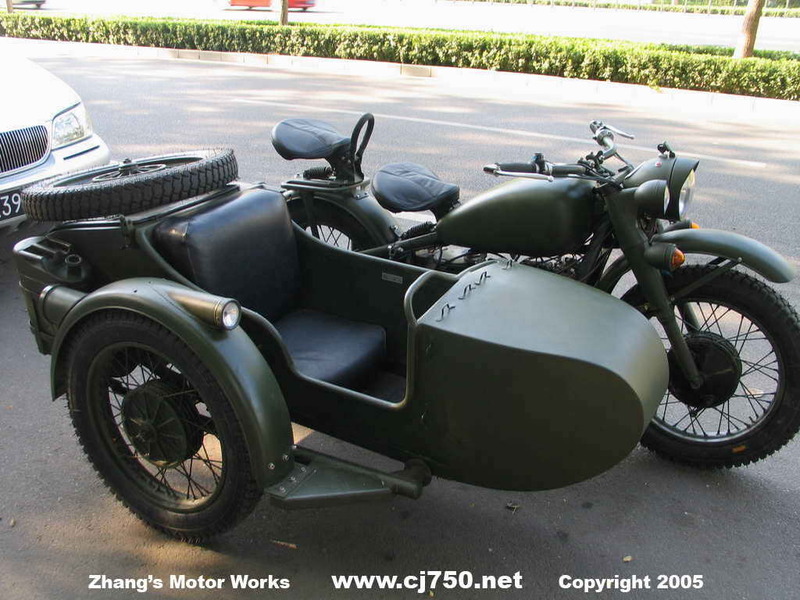 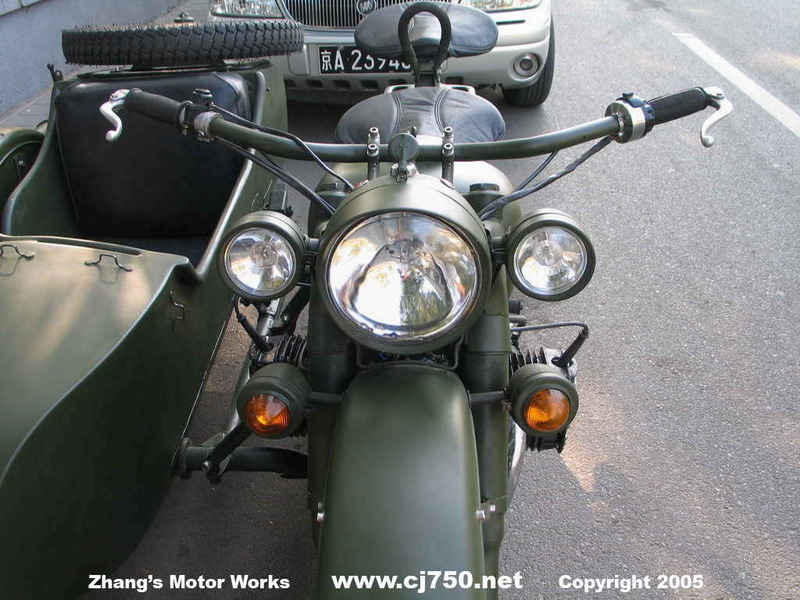 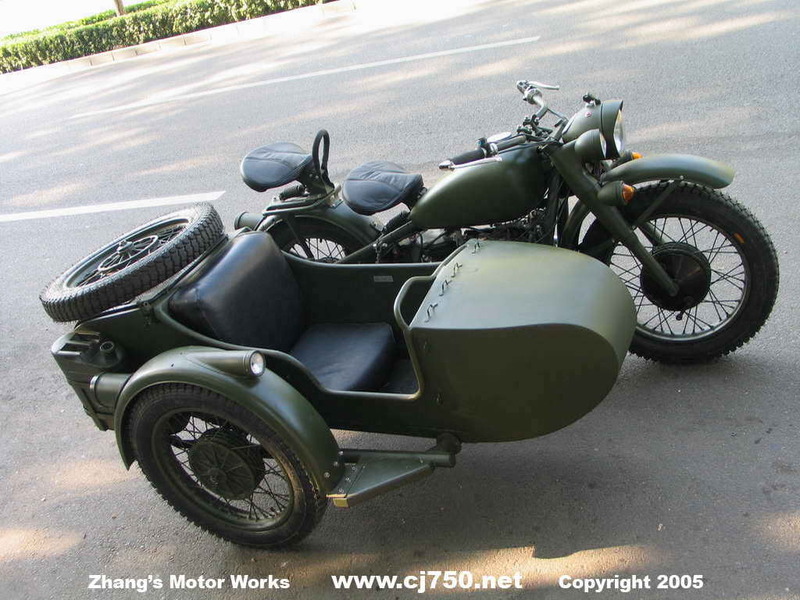 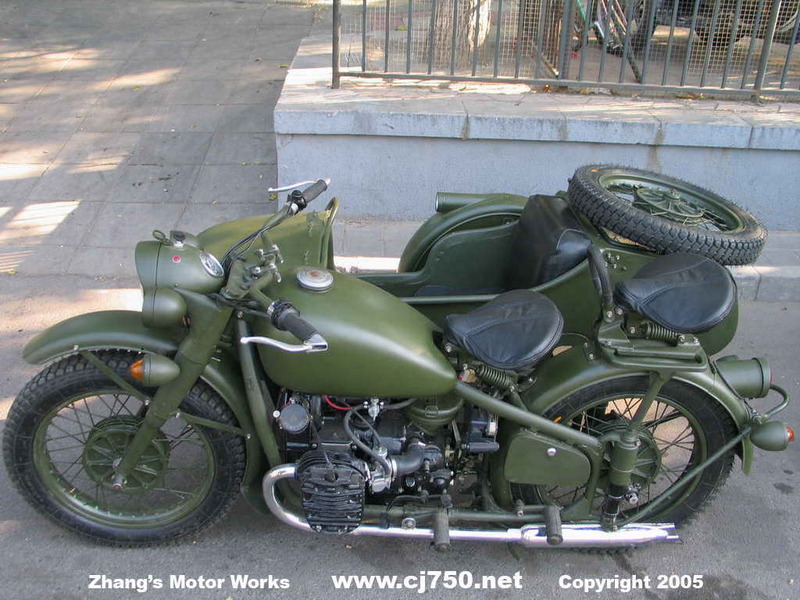 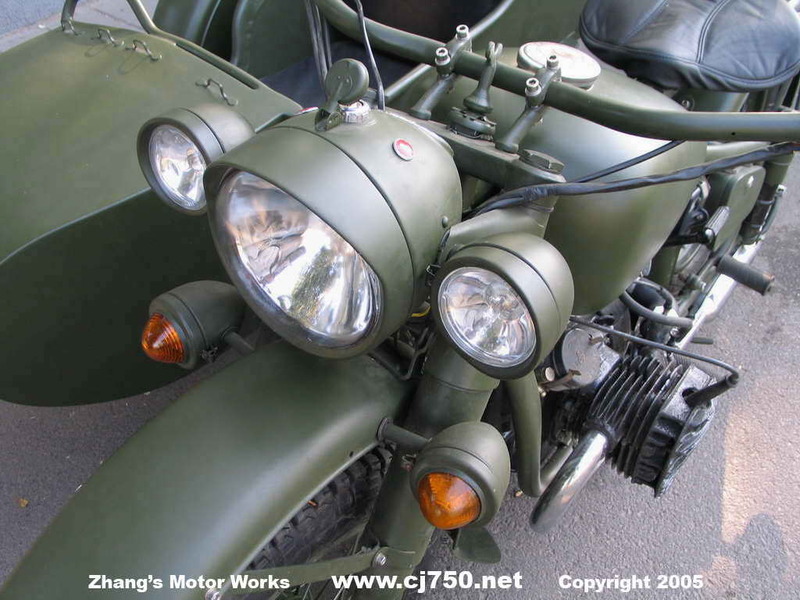 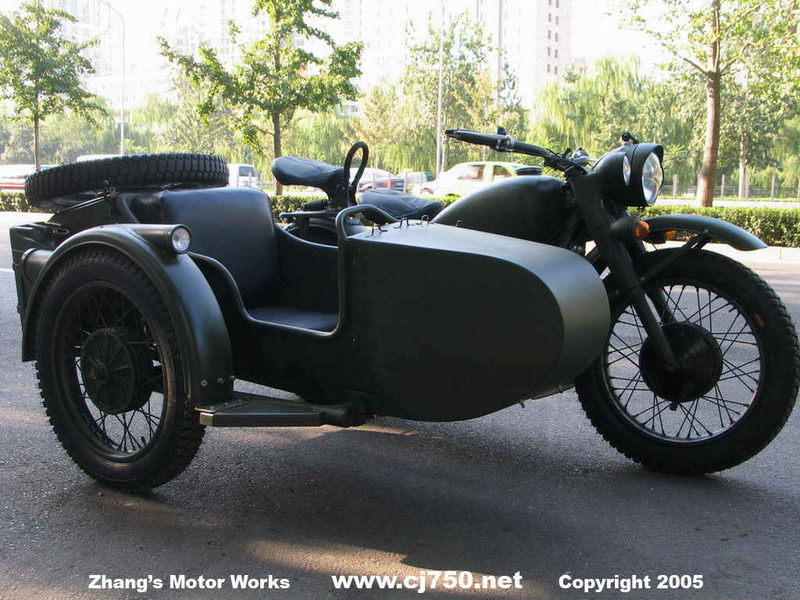 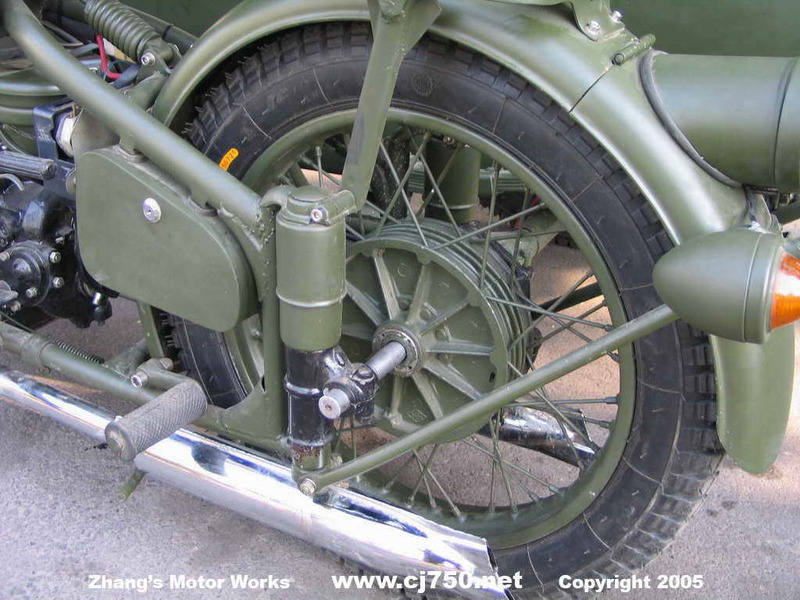 A Chang Jiang 750 sidecar similar to this can be yours including Beijing "Jing A" Plates. 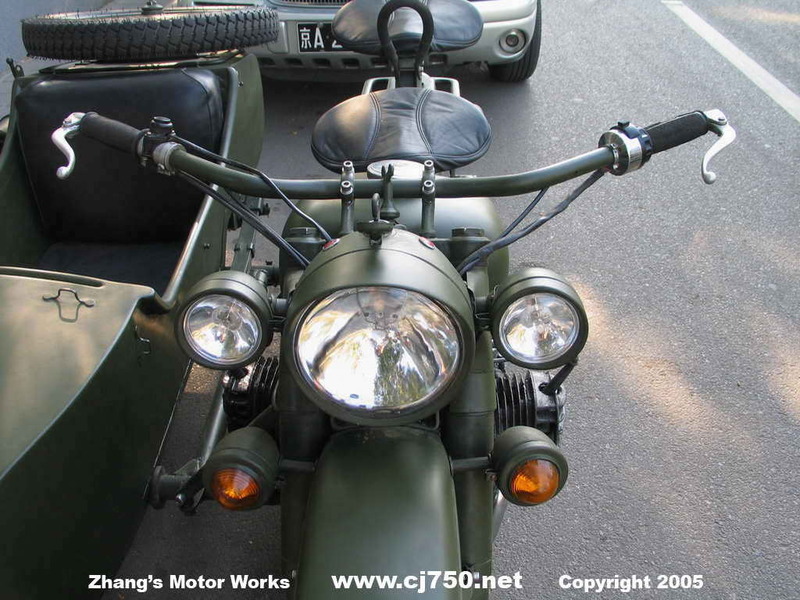 Check out our accessories available, and also check out our prices. 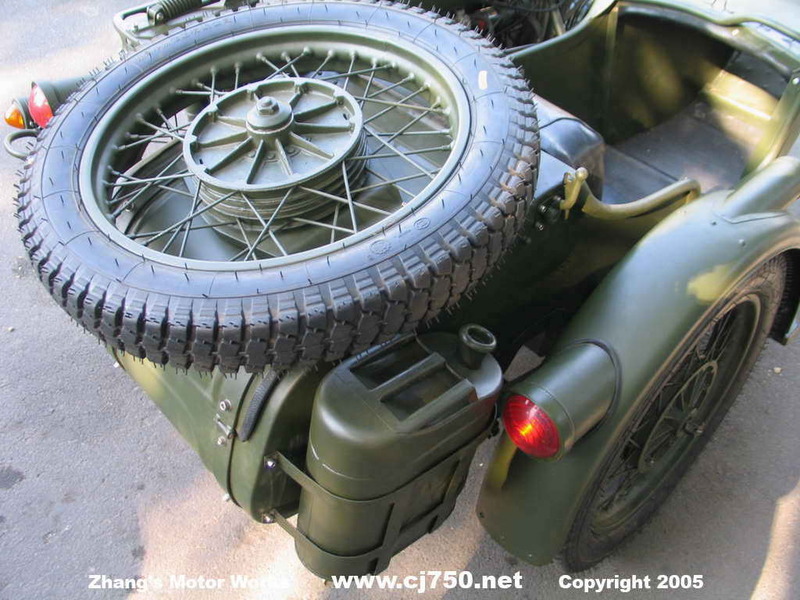 If you love the word PLA and want a Genuine PLA then please ready our detail PLA page. 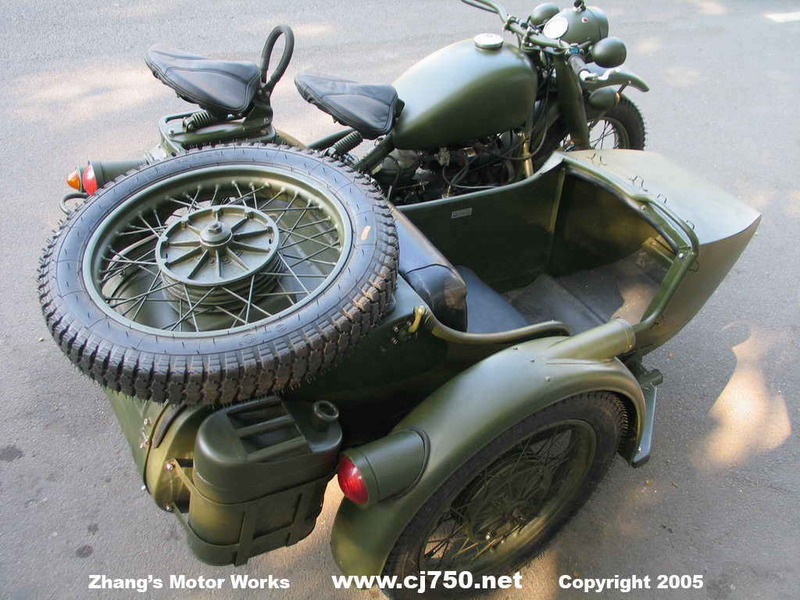 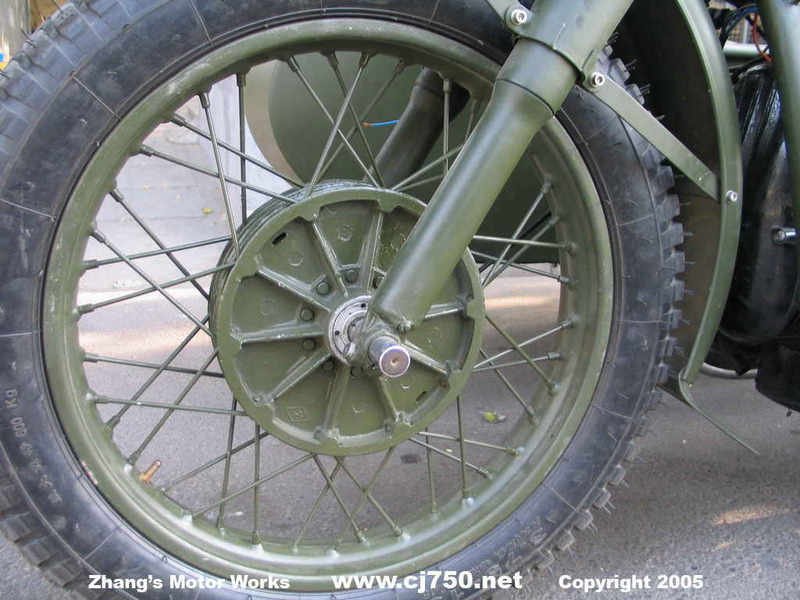 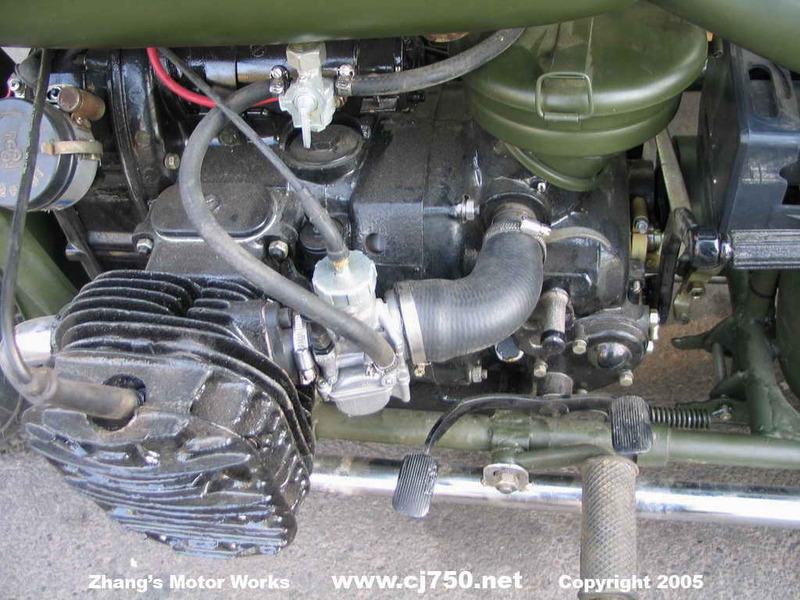 As PLA is promoted by a quite a few dealers and we want to make sure that those looking for the Genuine PLA Chang Jiang 750 sidecar gets all the PLA words in the text to help their decision.